HYDERABAD, TELANGANA, INDIA, August 10, 2018 /EINPresswire.com/ — Next Generation Sequencing (NGS) is a revolution in the study of human DNA and molecular biology. NGS made sequencing easier to an average researcher and provides the option to sequence the entire human genome in just one day. Contrast to the earlier sequencing mechanisms, NGS, also termed as high-throughput sequencing works similarly on millions of the small pieces of DNA at the same time. RNA and DNA can be analyzed much faster than earlier and most importantly at a cheaper price. It is also having a significant role in the detection of cancer in the prior stages of its formation. The market analysis predicts that Global Next Generation Sequencing (NGS) Market which was worth USD 3.63 billion by the end of 2018 is poised to reach USD 8.54 billion by 2023 at a CAGR of 18.66%. Next Generation Sequencing provides many benefits to the genome study like magnifying the deep sequence target areas, accurate analysis of mRNA for expression analysis, understanding of non-genetic factors, different microbial behaviors in humans, a swift study of whole genome sequences, and so on. A different number of sequencing technologies of the modern era like Roche 454 sequencing, SOLiD sequencing, Illumina (Solexa) sequencing, and Ion torrent: Proton / PGM sequencing are encapsulated in the process of NGS. Apart from rapid sequencing and affordable prices, the increased adoption of the process by customers in clinical prognosis and tumor analysis of oncology is driving the market size to its next level of expansion. Few other prominent aspects such as demand for personalized healthcare, growth in carcinoma afflicted people, upsurge of population, increasing chronic diseases across the world, new scientific innovations in the molecular biology, many unexplored markets, advent of cloud computing, high adoption of process in academic institutions, growing mergers and acquisitions, and others are also adding fuel to the raising fire of NGS markets. However, the lack of proper infrastructure, the dearth of sequencing management systems, insufficient government aid, scarcity of market professionals, accurate analysis of the end data, and other few elements may control the exponential growth of the world Next Generation Sequencing markets. You can have a better picture of the global markets with our full report and it provides the acumen in key areas helpful in future planning. As per our report, the global Next Generation Sequencing market is categorized on the basis of application, technology, product and geographical regions. 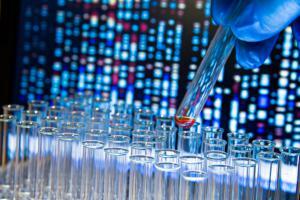 The diagnostics systems are expected to dominate the future NGS markets. The use of single assay systems and their study has resulted in the leading market share by Oncology prognosis. As in early 2018, the consumables market holds the major market revenue and estimated to continue the similar trend for the coming years. The more accountable sequence datasets and quick response time have kept the targeted resequencing segment at the topmost position of market charts. With the advanced healthcare infrastructure and investments in technological innovations, North America grabs the principal market share trailing Europe and Asia Pacific. However, market predictions reveal a significant growth rate for the Asia Pacific region with the increased medicinal investments, research and development in healthcare, the advent of new technologies in molecular biology and others. •	Pacific Biosciences of California, Inc.
As per 2018, the largest chunk of the market share was grabbed conjointly by Illumina, Thermo Fischer Scientific and Pacific Biosciences of California owing to the development of new products, mergers, and acquisitions. There are many recent trends in the market including the acquisition of Enzymatics by Qiagen to increase the supply of reagents and use of HiSeq X Ten to gather 20,000 genomes from the NHLBI TOPMed program which portrays the futuristic improvements in the field of NGS and its impact on human lives. Previous Previous post: Dedicated Developers Named #2 Website Developer in Atlanta By Highly Respected Clutch.co!